March 1, 2019 Call of Duty: Modern Warfare 2 Campaign Remastered shows up on the PEGI ratings site. Call of Duty: Modern Warfare 2 Remastered first hit rumour mill nearly a year ago thanks to some early retail listings, and now it’s come back again thanks to a fresh listing from European ratings board PEGI. The listing doesn’t provide much detail on its own, but it does back up earlier reports that the re-release would have no multiplayer. The rating (PEGI 18, as you probably could’ve guessed) is listed for Call of Duty: Modern Warfare 2 Campaign Remastered and is specifically directed at a PlayStation 4 release for the game, as noted by Charlie Intel. Curiously, it notes a February 28 release date, and as the Americas start to inch toward midnight, it seems like hopes of making that date are slim. After those premature listings, a variety of sources reported that the remaster was indeed real and didn’t include multiplayer, though the release never ended up happening. 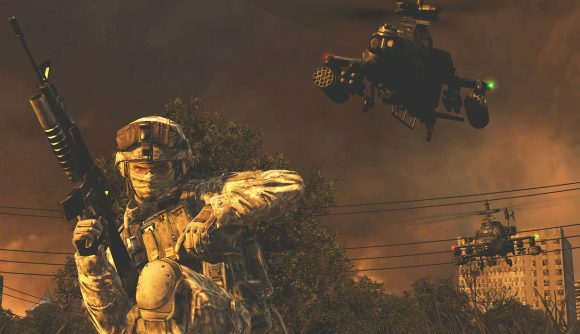 The original Modern Warfare Remastered was at first bonus release alongside Infinite Warfare, and it seemed likely that the sequel’s campaign would help bolster the multiplayer-only Black Ops 4. Alas, it was not to be, but it seems the project’s not dead. Call of Duty 2019 will have a campaign, as Activision said in a financial report earlier this month. Whether it’ll be alongside a return to Modern Warfare 2 remains to be seen.